We reported just last week that the netbook category was all but dead. This week, however, Asus is throwing us for a loop by introducing the Asus 1015E, a 10-inch netbook with a budget-friendly $299 price tag. According to Liliputing, this is the first netbook that Asus has released in over a year. So why release it now? Can we expect a sudden resurgence in the netbook market? The 1015E is a departure from traditional netbook specs in that it is not powered by an Intel Atom processor. Instead, the 1015E packs an Intel Celeron 847 processor under the hood, which is much more powerful than the Atom chipset, but not as speedy as a mainstream notebook chip. It’s also the same processor powering Acer’s C7 Chromebook. The 1015E packs 2GB of RAM and a 320GB hard drive under the hood and runs Windows 8. Plus, it comes with 32GB of cloud-based Asus WebStorage for free for three years. Perhaps the most remarkable thing about the 1015E is it’s 10.1-inch display with a resolution of 1366 x 768, which is more akin to a standard notebook resolution. Screen resolution on netbooks with the same 10.1-inch display usually top out at 1024 x 600. With the emphasis on HD screens in tablets and computers, the sharper display might sway some to this machine, but it seems unlikely. 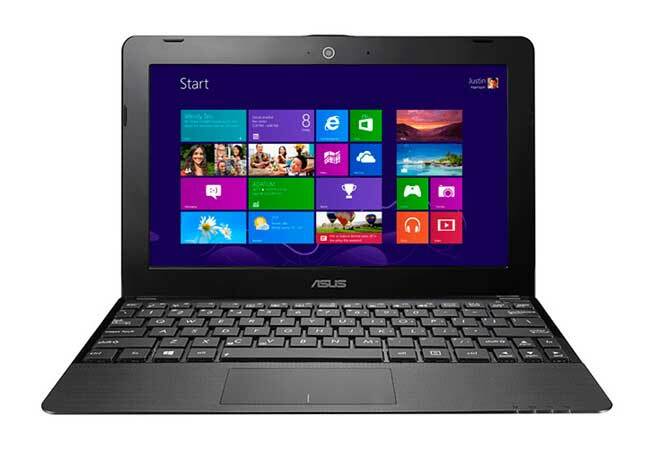 The Asus 1015E is available with a 3-cell or 6-cell battery and weighs 2.4 pounds or 2.8 pounds, respectively. The company rates it for 7.5 hours with the larger battery and promises a 2-second wake from sleep and 14-day standby thanks to its Super Hybrid Engine II. The 1015E also features one USB 3.0 port, two USB 2.0 ports, HDMI, VGA, and Ethernet. If a computer meets the size and price requirements of a netbook, but offers a better processor and a higher resolution display, is it still a netbook? We think so. Those 3.97 million netbooks shipping this year have to be coming from somewhere.